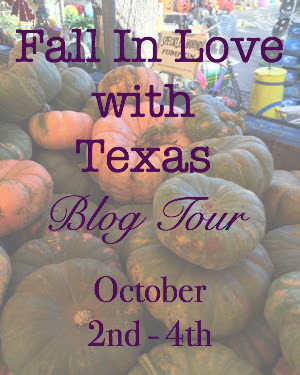 Welcome to the second Fall In Love With Texas Blog Tour. Fabulous Texas Bloggers are opening their homes to show off how we do fall in Texas. Stacey @ Poofing the Pillows got us going on this tour. I love her simple decor in her brand new house. Judith @ Botanic Blue shares traditions old and new. Laura @ Decor to Adore shares her fall garden and a lovely tablescape. New on our tour this year is Joy @ The Aspiring Home. I'm in love with that teal. Kitty @ Kitty's Kozy Kitchen shares a yummy candied popcorn mix. I will have to try that recipe. Thanks for visiting my blogging friends. Thanks, Katie, for organizing us and for sharing links to all of the blogs on today's tour. I'm loving our cooler weather which arrived just in time for our Fall blog tour. Thank you for all your work on this tour! Absolutely beautiful! I love this post as much as I loved following your posts always.